The first TriggerTraXX release “Silvermoon” by Mike Meade & Bason Journe and including a remix by Vechigen, is now exclusive released on Beatport. Mike Meade & Bason Journe present the first TriggerTraXX release “Silvermoon”. An uplifting mix of house and trance music full of interesting fx, chops and melodies. 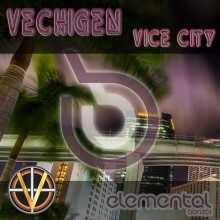 This release comes with a radio mix and includes a special Chill Out remix by Bonzai signed artist Vechigen, created for the relaxing moments. Get your copy on Beatport.